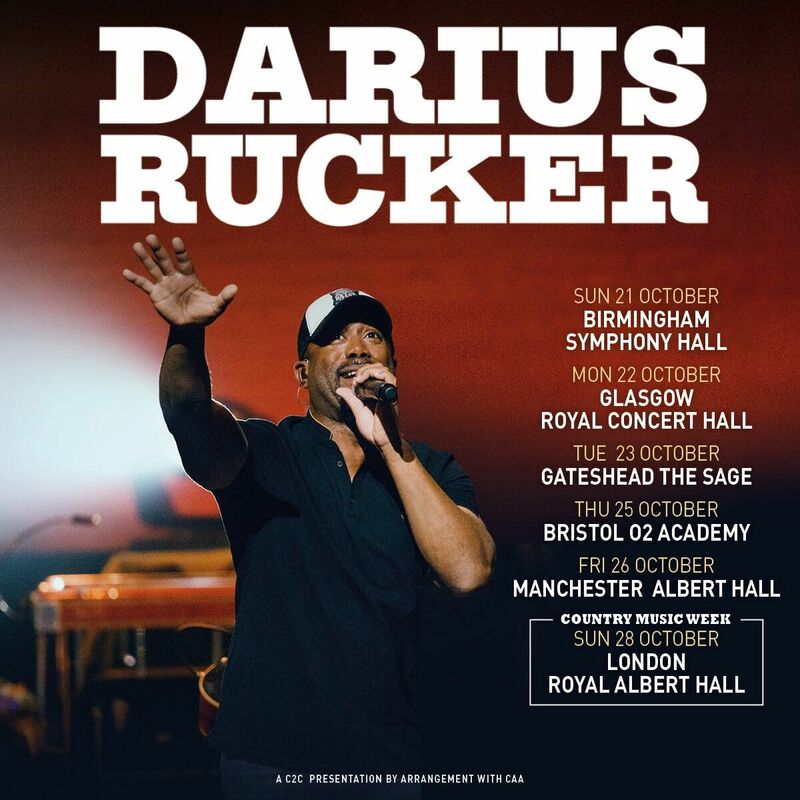 For more information about new music, appearances, and tour dates, please visit http://www.dariusrucker.com. Rucker first attained multi-Platinum status in the music industry as the lead singer and rhythm guitarist of GRAMMY award-winning Hootie & the Blowfish. Since releasing his first country album in 2008, he has celebrated four summits to the top of the Billboard Country albums chart and earned a whole new legion of fans. In 2014, Rucker won his third career GRAMMY award for Best Solo Country Performance for his 4x Platinum selling cover of Old Crow Medicine Show’s “Wagon Wheel,” off his album, True Believers. Rucker’s first two country albums, Learn To Live and Charleston, SC 1966 produced five No. 1 singles including “Come Back Song,” “This,” “Alright,” “It Won’t Be Like This For Long,” and “Don’t Think I Don’t Think About It.” Southern Style, his fourth studio country album, features his seventh No. 1 single “Homegrown Honey,” co-written by Rucker, label mate Charles Kelley of Lady Antebellum, and Nathan Chapman. Rucker’s last single, “If I Told You,” is his eighth No. 1 on country radio and the first cut from When Was The Last Time, his latest album on Capitol Records Nashville, was released on Oct. 20, 2017. The album’s second single, “For The First Time,” is currently Top 15-and-climbing on the Country charts.